Square Poly-Fabric Neoprene Coasters - 3.5"x3.5"
Use your customized coaster to protect your furniture, reinforce your company’s logo, or just add more fun to the environment. These rubber coasters are made from the same material as our mouse pads. The low cost of this item makes it perfect for giveaways. 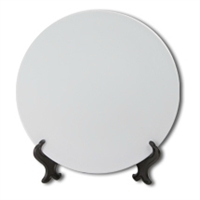 Our other drink coasters are available in ceramic or sandstone. Sold Individually! 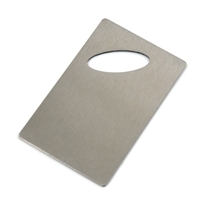 Sublimation Rectangle Bottle Opener 2" x 2"
Sublimation Rectangle Bottle Opener 2.75" x 1.49"
Unisub Coaster - Square with Cork Back - 3.75"
Round cork backed coasters. White high gloss coating. Sublimation Pot Holder - 8" x 8"
Sublimation Pot Holder - 7 1/4" x 9"
Unisub Slotted Mahogany Coaster Holder - 2.5" x 3"
Apron - 19" x 29"